His closing argument binds his campaign to support for the NFL’s most bigoted brand. 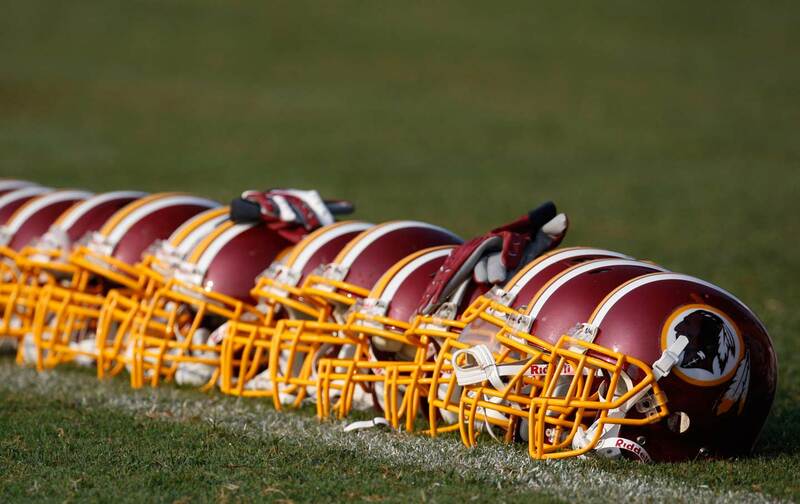 For years, supporters of the the name of the Washington football team have provided the one sanctuary where it was socially acceptable to shout a dictionary defined racial slur from the top of your lungs. Donald Trump—in his relentless war against human decency—has changed that reality dramatically in the last year. Bully anyone at anytime, and if someone asks you to stop, then you are just being—altogether now—politically correct (although that passionate defense of saying what you like doesn’t seem to apply to Trump’s critics or victims). That’s why it shouldn’t be surprising to hear Trump’s closing argument in this election includes an entire commercial devoted to supporting the word “Redskins.” The 30-second ad—which is also insulting to the thinking ability of non-native football fans—begins with four white guys, chugging brews and sitting down to watch the game, although no beer bellies on these fellas. They look like Abercrombie & Fitch models with spray-on stubble. But Trump is choosing to weaponize the name: one last racist wedge issue for the road. Snyder, of course, says this despite the dozens of tribal councils and organizations that have called for the name to change. Dan Snyder’s wife has also donated funds to Donald Trump’s campaign, and, thankfully, now we have this ad. It demonstrates that the people playing politics with this name are the people who stand to benefit the most from a resurgence of racism: the Donald Trump/Breitbart brigade and billionaire brander Dan Snyder. Last summer I saw T-shirts in Ocean City, Maryland, with the Confederate flag and the Redskins logo side-by-side with “heritage not hate” written underneath. That’s what this name is. That’s who Dan Snyder is. And that’s who Donald Trump is. Every fight to change the name going forward should center this ad as well as the Trump-Snyder alliance to mainstream racism into US culture. Trump is now Dan Snyder’s baggage and the baggage of everyone who defends this name. It’s a load that will grow heavier with time. It’s a load they are utterly unequipped to manage.